"Cooper Cobra GTH | Drenth's Highway Garage Tire Pros. | Quality Tire Sales and Schererville, Indiana "
Designed to provide excellent traction and handling, with long wearing properties for good value. 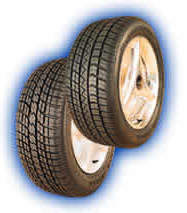 Combines the benefits of dry handling with all-season traction, providing stability on cornering.